Give it good support. Be sure to use a sturdy, high-quality bed frame. If it’s a queen or king size set, make sure your frame has the strong center support that will prevent the mattress from bowing or breakage. Don’t remove the tag. Contrary to popular belief, it’s not illegal to remove the law tag, but the information on the label will serve as a means of identification should you have a warranty claim. No boards, please. Never put a board between the mattress and foundation. It may enhance the sense of support for a while, but it will only make the problem worse over time. When any bed in your home has reached the “board stage,” get rid of it. Follow manufacturer’s instructions. 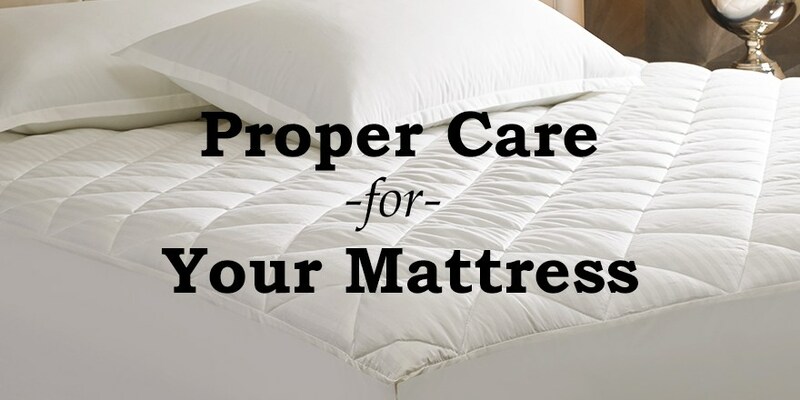 Again, be sure to follow any specific guidelines from your manufacturer for the best method of mattress care.